These guys have to stay busy, in today’s world it seems that all we hear about every week is the great bee die-off. 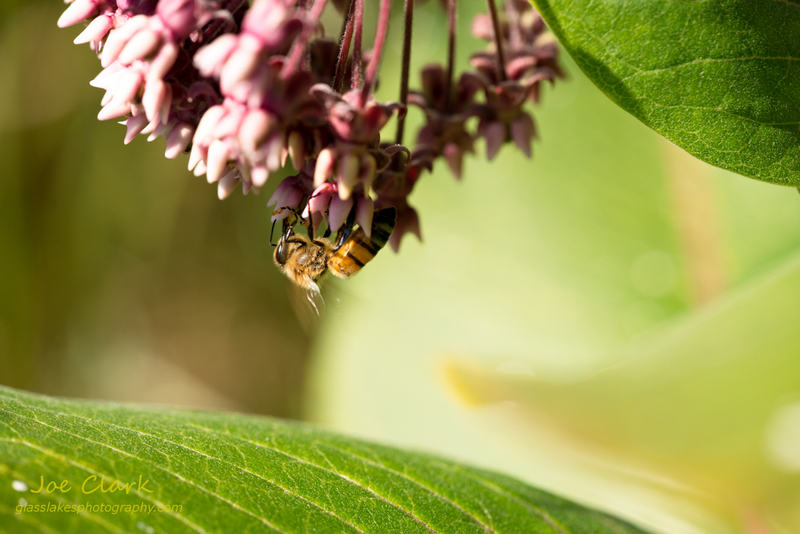 Luckily the milkweed plants in the Sleeping Bear National Lakeshore have not been sprayed with the pesticides which are being shown to be detrimental to bee populations. There were hundreds of busy bees working on this small patch right off the heritage trail in Glen Haven.